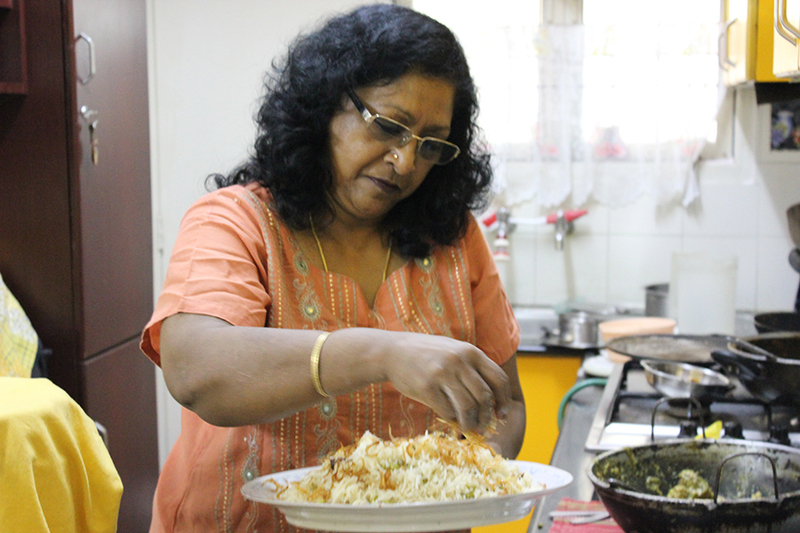 Vijaya, a retired teacher (with more than 4,000 followers on her Pinterest page; she keeps busy! 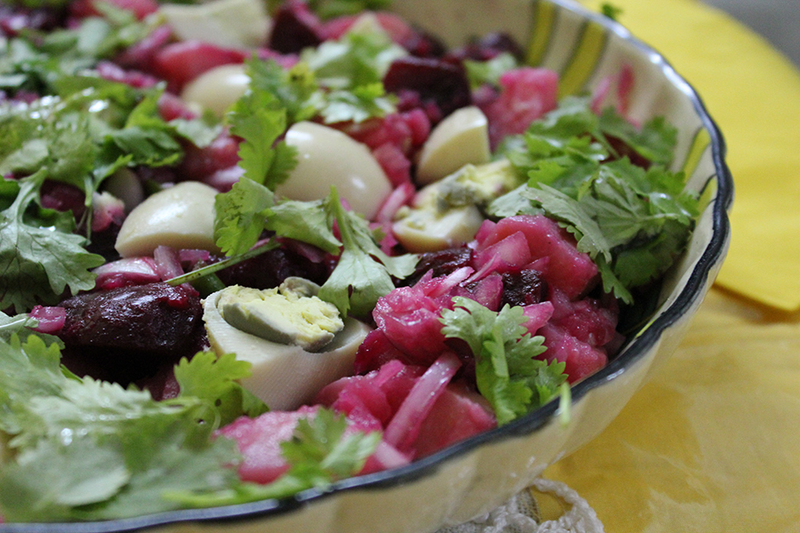 ), has a life-long love of cooking. 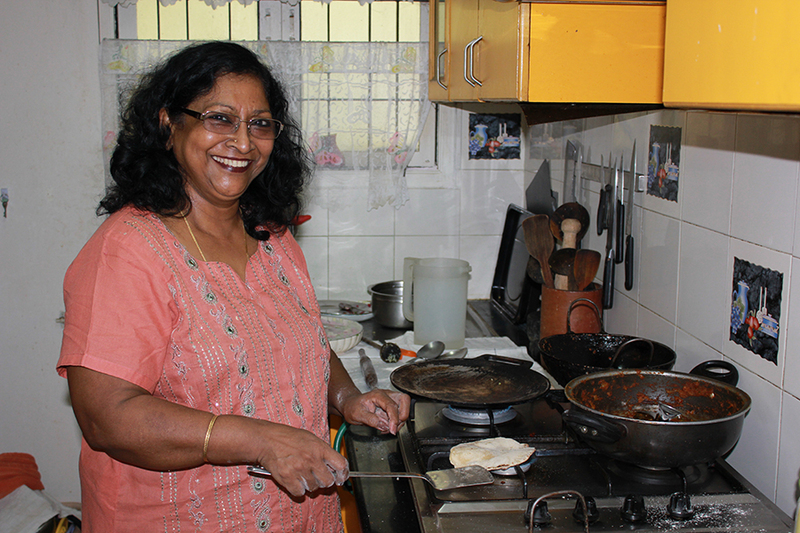 Now that her daughters have homes of their own, Vijaya fulfills her love of cooking and teaching by cooking hosting travelers with Traveling Spoon. 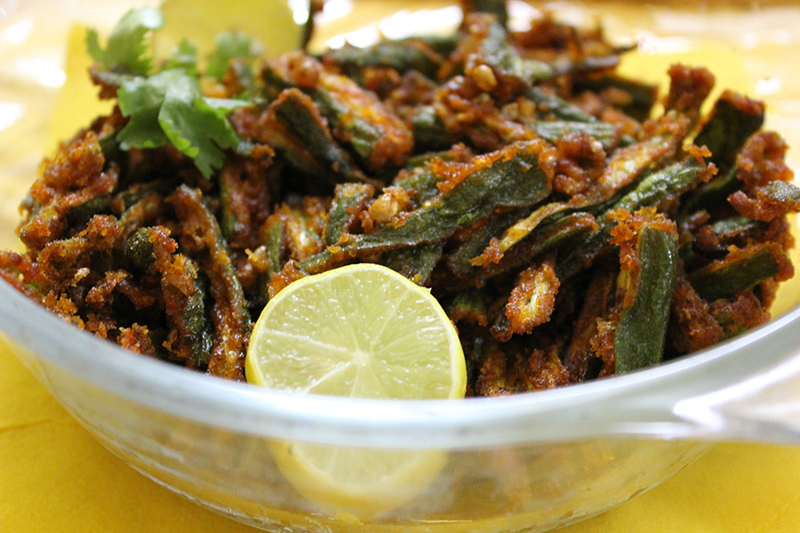 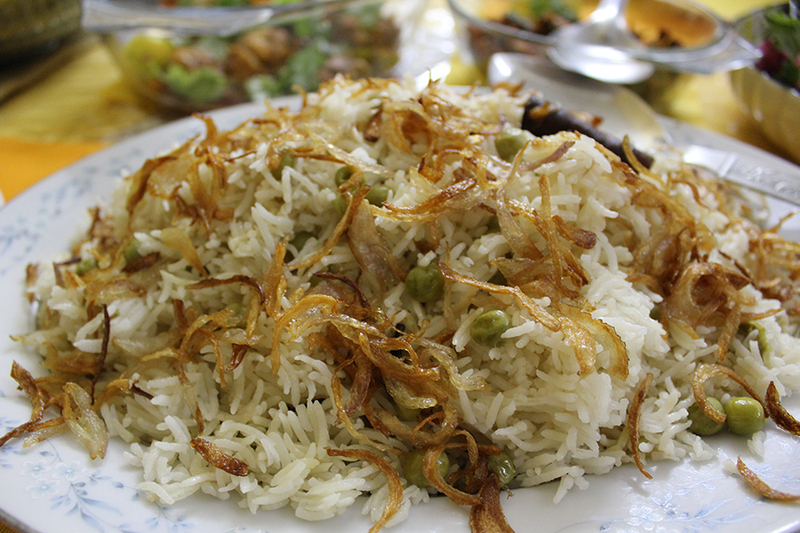 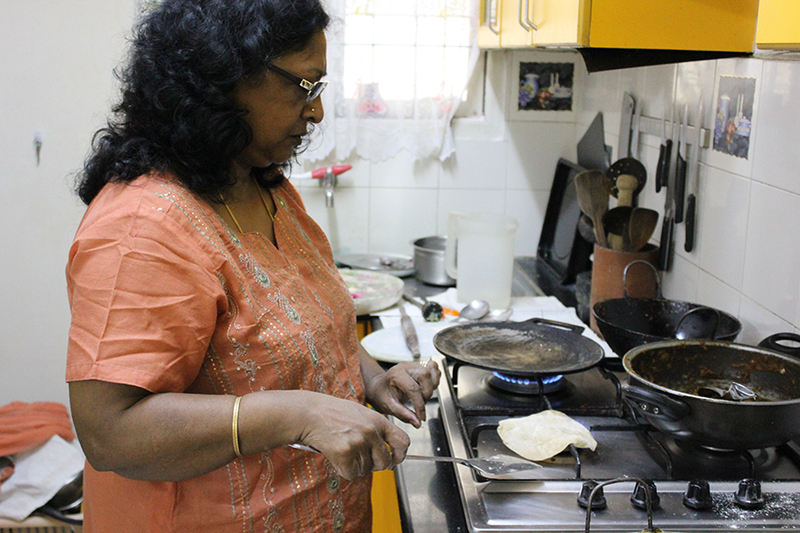 In-home meal: (1-4 guests) Cheery Vijaya cooks a variety of predominately meat-based South Indian and western dishes in her home on the outskirts of Chennai such as peas pulao with rich chicken korma along with a vendakka (okra) fry and paper-thin dosas. 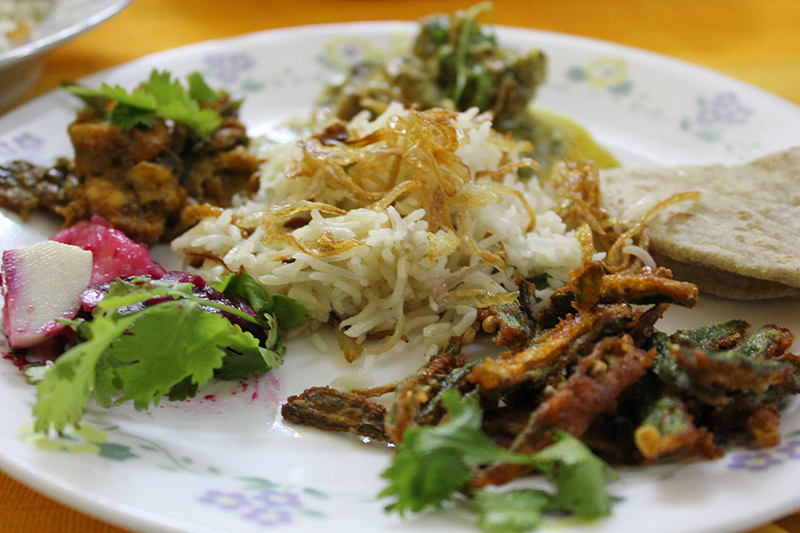 If you prefer a more western theme, try her amazing roasted chicken or roast beef. 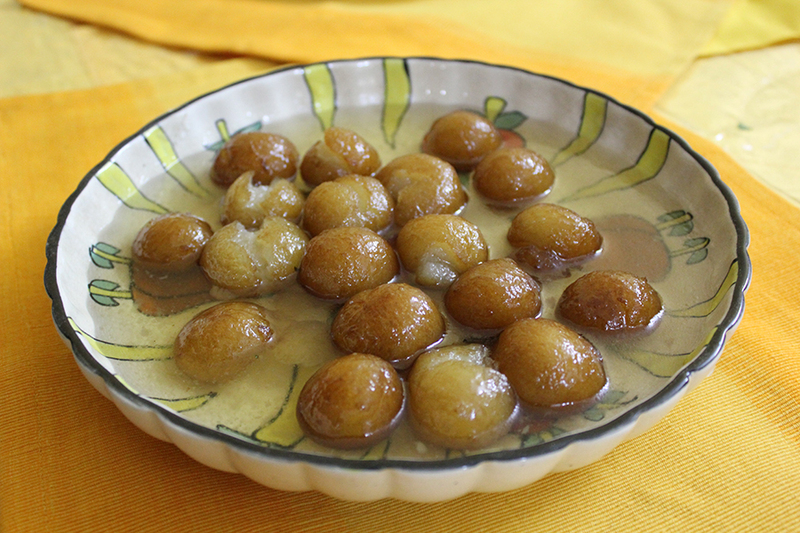 Be sure to end your meal with her expertly prepared hot gulab jamun. 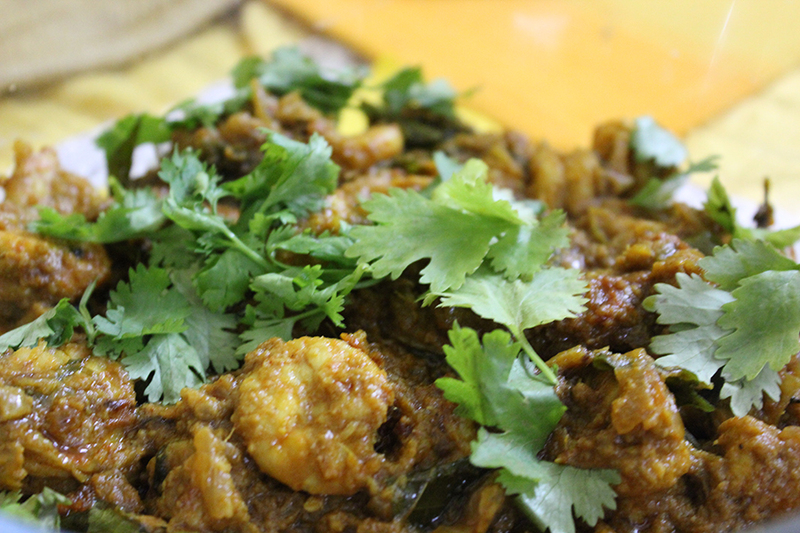 Cooking experience: (1-4 guests) Learn to cook in Vijaya's small kitchen South Indian delicacies such as fresh-off-the-griddle roti with prawn masala cooked in a fragrant tomato, onion, and chili base before sharing your meal with Vijaya and her husband. 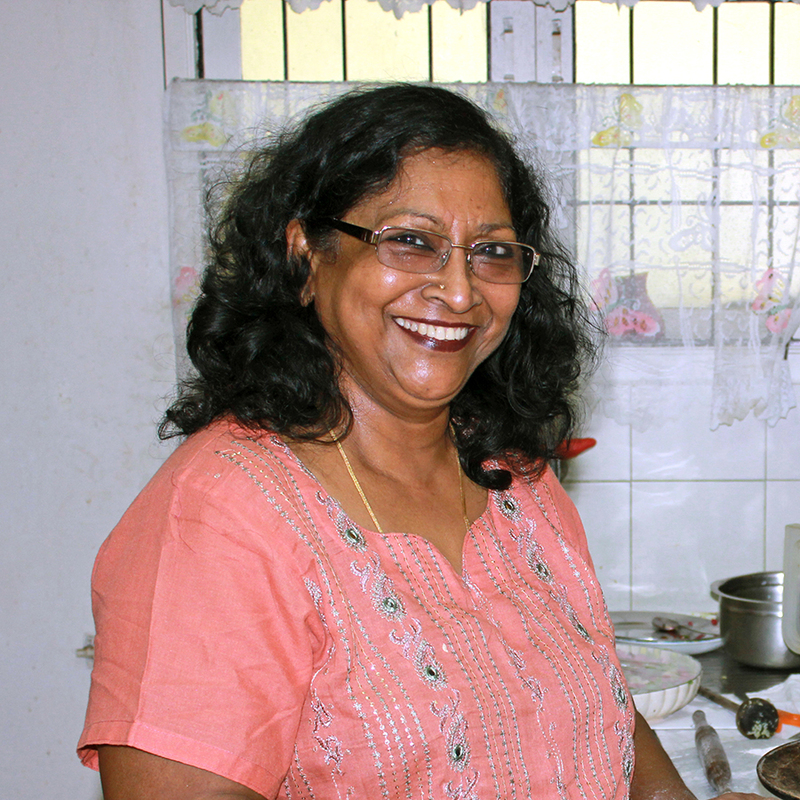 Notes: Vijaya's home is 45minutes outside of Chennai by car, so please leave enough time for the drive.